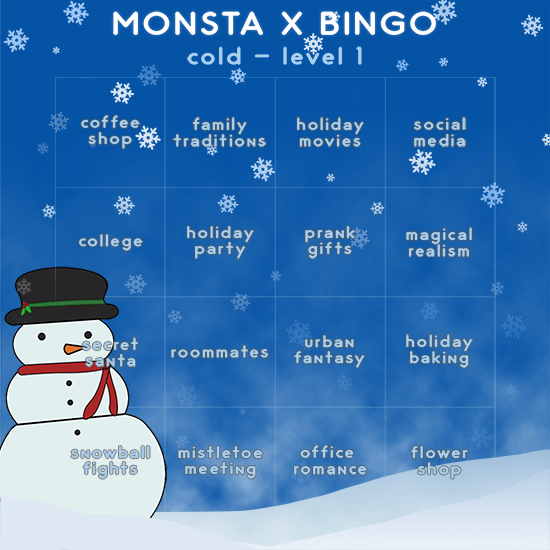 I did level 1 of the cold bingo, found here. This is for the flower shop square, and combined with/double posting for the urban fantasy square! And I took some liberties here. Heh. Serious liberties. But it works, and you can fight me if you think otherwise. playlist for this series coming soon! Also, I have no idea why I waited to post them all together. It was an awful idea. But can't change it now. At least they're done. It's not what normally comes to mind when you think of the term flower shop. There are flowers, of course both those still alive and pristine, freshly cut and in beautiful full bloom. But there are also those that have been dried, preserved against the ravages of time through hanging and being pressed, perfect for potpourri, crafts, and the occasional concoctions . And then there are the oils and extracts, still as sweet and fresh as the day they'd been bottled, but that’s neither here nor there. As an employee of the city's one and only Elf Bolt, a magic and non-magic shop catering to both the mundane and the magical, Hyungwon is familiar with all of these uses, and more. He's a faery, after all. It's his job. And his job is very, very boring. With the shop swept and tidied, the books fronted, fresh flowers waters and rotated, and the shelves careful stocked, Hyungwon has run out of things to do that actually need done. The list of daily duties is often short as it is, considering the very nature of the shop is that of a magic that can’t always be relied upon to be put onto any sort of schedule, but on a Wednesday in the middle of a winter that is neither too hot nor too cold, with enough sunshine and passable amounts of precipitation, and all of the major holidays over with for the next week, Elf Bolt has seen precious few customers from either side of the spectrum. It’s a pity. And it’s boring. So it’s understandable, how Hyungwon something more to do to pass the time. Something. Anything. As long as he doesn’t have to count when it’s not his day, he’s happy. Hyungwon is midway through the tedious task of organizing the tiny sterling silver bracelet and pendant charms when the door at the front of the shop opens, an airy tinkling of bells spilling into the shop to announce the arrival. It should attract Hyungwon’s attention, but it doesn’t. He knows who it is even though they’re still wandering the store. “Yesterday morning.” Hyungwon finally looks up then, a love charm in the shape of a very real, anatomically-correct heart, dangling from his fingertip. “Sand and soil from countries all around the world. Great for grounding spells, teleportation spells, and even the occasional summoning spell. Boss said you can also use them for other things, but…” Hyungwon waves his free hand, making a noncommittal noise. Hyungwon stiffens, staring moodily at the male, before his attention shifts back to the charm that dangles in the air. A flick of his wrist has it spinning ever so slightly, first one way, the back the other. “I cannot begin to imagine why you would want to summon Changkyun into our shop, Yoonho. That’s what pushes Yoonho over the proverbial edge. “We are not bringing Chunghyeop into this!” But by the way Yoonho flushes, the color staining his cheeks down his neck and to the tips of both ears, Hyungwon imagines that Yoonho desperately wants to bring Chunghyeop into it. It’s hard to hide what you are from someone that you like. Hyungwon knows the pain all too well. Hyungwon sets the charm to the side, lips pursing as he gathers the others and places them back on the extending prongs. Having half of the stand organized and the other half a complete mess, a mishmash of different charms for different purposes all clustered together regardless of purpose and intent irks at his soul. But for Yoonho, he’ll bear it. For now. VAV is one of the groups in this AU! WJSN and Boyfriend are, as well, but here we have VAV (because Ayno is a precious bean and his success in VAV pleases me). We'll see more from Yoonho later! Maybe some misadventures with trying to confess to poor lil human Chunghyeop. :3c I'm also thinking of expanding this universe to include other fandoms outside of the Starship/N.Mercy family. If you look close in the series, you can probably find the fandoms I want to expand to! This is the last in the MX Bingo series for winter 2018, but not for the urban fantasy set. I'll be back, just you wait.